Ancient Aliens Debunked is an engaging documentary the exposed the reckless propaganda of the Ancient Aliens agenda, and gives you the truth about ancient peoples and their culture. Most people don't want the truth. They're looking for answers that confirm their own prejudices. Haunted by his parents’ death and his career failures, Dr. Brian Scott has begun to settle for the life he’s been given.Until he’s “recruited,” that is.Kidnapped by military insiders known only as “The Group,” Brian joins a team of world-class scholars on a confidential initiative. Their mission? To prepare mankind for a new reality. They are here.As the team is briefed on the government’s involvement with extraterrestrials, strange things begin to happen. Disappearances. Visitations. Murder. Something isn’t right. Unpeeling layer after layer of deception and counter-deception, Brian moves toward a shocking revelation that will forever alter how mankind sees itself. 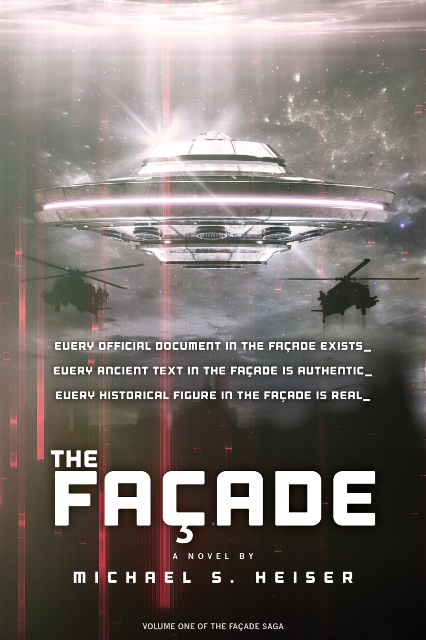 The climactic ending of The Façade left Brian Scott and Melissa Kelley with only each other—and the terrible secrets they carry with them. The Portent finds them living together under new identities, their future clouded by constant fear of exposure and the haunting uncertainty of their feelings for each other. By the time they learn they’re being watched, their carefully constructed lives will be over. 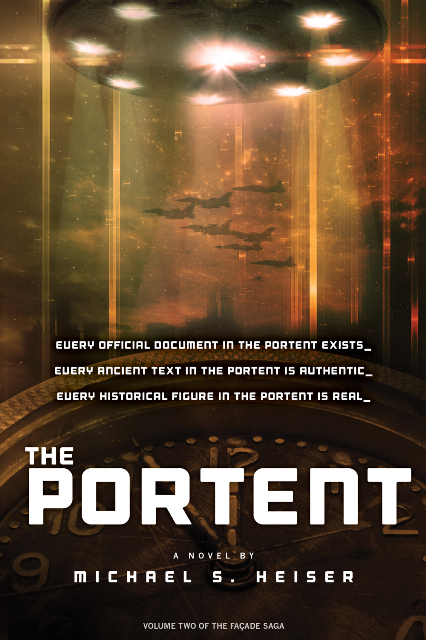 The Portent follows Brian and Melissa as they discover themselves at the center of an unthinkably vast conspiracy that spans centuries, crafted by a relentless evil bent on turning the faith of millions against itself. Ancient tombs, long-forgotten Nazi experiments, UFOs, occult mythologies, biblical theology, and technologies yielding godlike power converge to create a disturbing mosaic that answers a terrifying question: Now that “they” are here, what do they want?